Thinly slice the cucumber lengthways to make long shoelace like strips. Place this in a small bowl, along with the parsley, mint, lemon juice and oil. 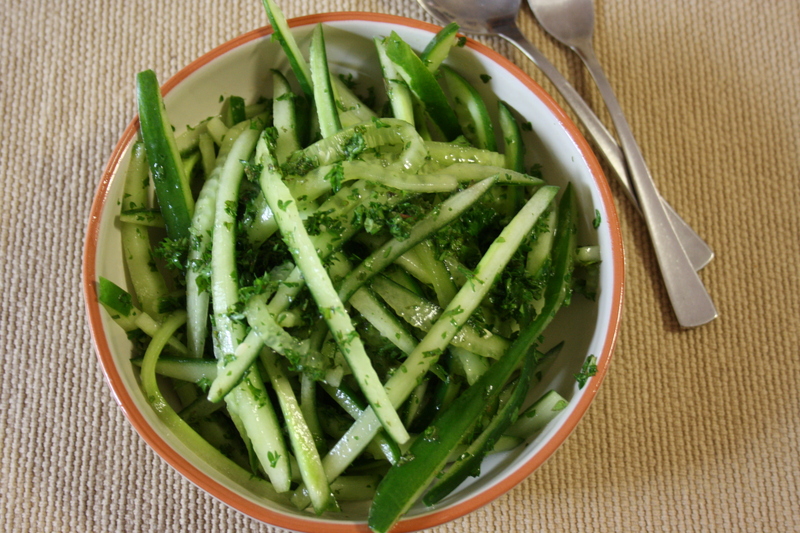 Gently toss together until the cucumber and mint are well coated. Refrigerate for a couple of hours or overnight if you have the time, and remember to toss the dressing through again just before serving.